What we do with our money and time indicates who we are and what we love. If we believe that all creatures matter, our gifts will reflect that. As David Steindl-Rast, a Benedictine monk and author, says, “Abundance is not measured by what flows in, but by what flows over.” Generosity is prayer in action. Giving to another is a powerful thing. It creates relationships and extends our values into the world. 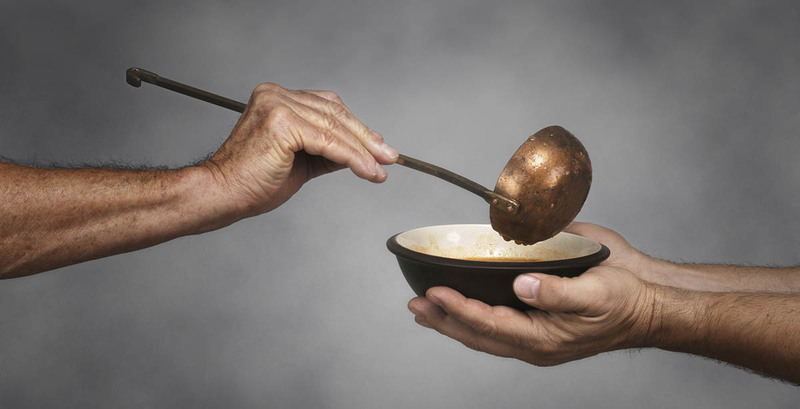 This notion of generosity challenges our culture’s individualistic, materialistic norms. Giving is such a potent spiritual practice because it demonstrates that we need each other. And it shows that gathering more things and experiences isn’t the meaning of life. The things we need more of are relationships, not things or experiences. Giving to others is not a possibility for those who are already living at or above their means. There is nothing extra to share. That is why we are to live on less than we have, saving the extra for sharing with others. Additionally, we can donate our unneeded items to nonprofit organizations that provide help for those in need. When we increase our willingness to give and our capacity for giving, there is only one thing more we need—love. Without love, giving is a hollow exercise. So, guided by God’s love within us, we see needs and give out of our abundance to help others. It is prayer in action. How are we to respond to panhandlers on the street? If we give to them, aren’t they simply going to turn around and buy drugs or alcohol? Aren’t we making the problem worse by our generosity? Jesus said, “Feed the hungry.” He didn’t say, give, unless you think they will use it for unhealthy purchases. We don’t have any guidelines on when not to give. Jesus only said to be generous. Here are some thoughts about what we should do when asked for money by strangers. Don’t worry about their motives. Just be generous. If they really need it, you have done what you should. Even if it is a scam, your motive is right and generous. If you prefer not to give cash, carry gift cards to local fast-food restaurants or grocery stores for these occasions. Support organizations that work to address the underlying reasons for poverty and hunger.